When it comes to sharing and storing your photos online, there are dozens of options. From well-known sites like Flickr to smaller sites like Fotki, it can be hard to wade through them all to find the perfect place to host your precious memories. There are a handful of questions you should consider before making a decision; privacy controls, the ability to print or download photos, storage space, and usage fees are just a few things to think about. With those questions in mind, we've gathered the best photo sharing websites in this handy comparison post to help you make your decision. The largest photo-focused website, Flickr is generally accepted to be one of the best options. It's free for casual users, though there are limitations, including only 300MB of uploads per month and the ability to display only the most recent 200 photos. Upgrading to a Pro account for $24.95 for one year, or $44.95 for two years, gets you unlimited storage and video uploads and now grants everyone 1 TB of data for storage which can hold more than 500,000 images at full resolution. 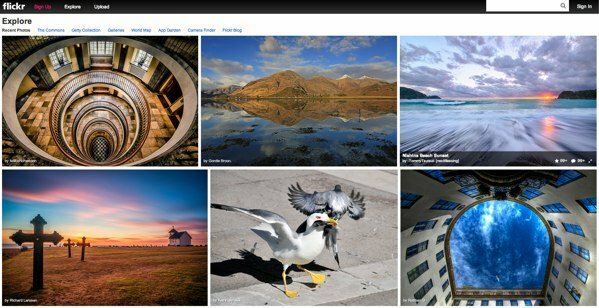 Flickr lets users tag, caption, and set copyright permissions on photos, and organize them into collections and sets. Flickr also has a thriving community of photo enthusiasts, with groups and galleries galore to browse and enjoy, and easy-to-use apps for both iOS and Android devices. One of the big benefits of Shutterfly is that there is no cost for unlimited photo storage. Instead, they make their money from prints and other customizable gifts such as mugs, mouse pads, and calendars. Users can create Share sites, which are secure personal web pages where you can share photos, videos, and more with family and friends. You can also order prints for in-store pickup at Walgreens and Target. Shutterfly has apps for the iPhone, iPad, and Roku. A photo sharing site largely focused on social media integration, Photobucket makes it easy to share your photos with specific friends and social networks, including Facebook and Twitter. It also offers unlimited photo and video storage, though they do limit file sizes. There are also fun options like creating digital slideshows and adding effects to your images, as well as turning your photos into physical prints and customizable gifts. Snapfish is one of the easiest photo sharing websites, and thus is a big hit with the less tech-savvy crowd. It offers a lot of editing and sharing features, as well as prints and other photo products. Snapfish has unlimited free storage, but they do require that users buy at least one print (for a whopping $.09) per year to keep their account active. Prints can be shipped directly from the site or picked up at many different stores, including Walmart, Walgreens, and Meijer. Members can share photos or albums via email, but Snapfish doesn't offer integrated sharing via Facebook or Twitter. Out of the plethora of smaller photo hosting websites, three stand out as real contenders. 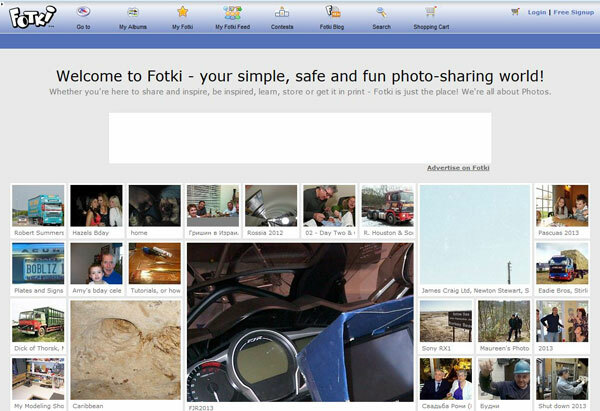 Fotki is fun because it has a photocentric social network aspect, hosts photo contests, and allows users to sell prints (rather than just allowing users to buy prints but not make any money off of them). SlickPic is a fairly standard photo sharing service, but it also has a number of interesting features. In addition to creating personal or professional photo galleries and albums, you can create photoblogs and actually have a professional designer enhance your favorite photographs (for a fee). 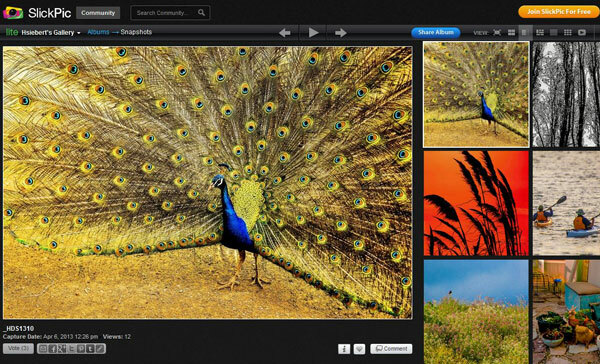 It also offers plug-in integration with Adobe Lightroom, Windows Gallery, Apple Aperture, and Apple iPhoto. Facebook is the largest social network in the world, and with millions of users, it's a pretty easy place to share your photographs. You can upload pictures straight from your phone or from your desktop, and organize them into folders. The biggest drawback to Facebook as a photo sharing site is that, depending on the privacy settings you use, your photos may only be visible to other Facebook users on your friends list. Tumblr isn't exactly a photo sharing website; it's a blogging platform that's geared towards showcasing photography, paintings, design, and other art. It's free and relatively easy to use, but also somewhat limited on design options. 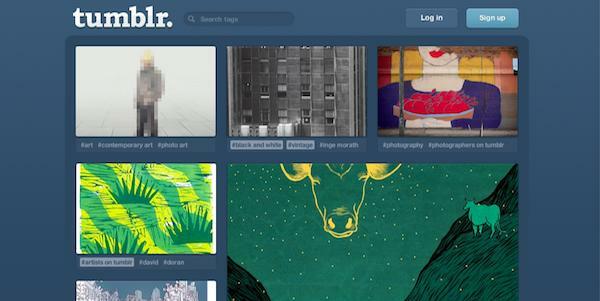 If you prefer to show off your photos one or two at a time, interspersed with text commentary, Tumblr might be perfect! Instagram began life as an iPhone app (free on iTunes), but has recently expanded to Android phones as well (free at Google Play). The app lets you take photos on your phone, and tweak them by adding fun effects and filters, then share them with friends on social media. Pictacular, formarly known as Pinstagram, is a hybrid interface that allows you to view your Instagram photos on the web, in a lovely waterfall view. A somewhat surprising option for photo sharing, not just online photo storage, is Dropbox. If all you want is a simple, slick way to share your photos with friends and family online, without cluttering it up with social media, ads, or a push to buy photo products, Dropbox offers an excellent alternative. You can create photo galleries and then share the link, and, unlike sharing files, the person at the other end doesn't actually download the files – they can just see them in an elegant slideshow view. While you can't order prints or edit photos in Dropbox, and it does require installing a desktop application, the simple and easy-to-use interface and clean slideshow view definitely offer an appealing option. Many photo sharing websites seem like carbon copies of each other, but there are some that offer interesting and useful options. Do you want to share your photos on Facebook or Twitter, create hip filters, or start your own photo blog? Read the fine print, and decide what's important to you, and you'll be able to find the perfect photo-sharing match. Some really exciting things coming to Shutterfly’s photo cloud storage since they acquired ThisLife! Linea is a beautiful solution for sharing photos and photo cloud storage. You maintain complete control over who you share your photos with. And everyone who creates a free account gets 30GB free storage! This doesn’t appear to exist anymore. Pixi.me is a free service based on the open-source software called Gallery 2 - we also use high-grade SSL security, and photo gallery sites we hosted can be mounted as a network drive via WebDAV. I completely agree with Flickr. I have been using it for past few years to show off the pictures that I take with my SLR camera, but to share my personal pictures privately with my family, I only use wikialbums (here is the link: http://www.wikialbums.com). I have a private group for my family and also have one for my class to share my kids pictures with their parents. Yup, I’m a teacher! There’s a chance You Also Make These Slipups With bag ! One more option if privacy and control are important. Another good free site if you want to stop unintended sharing of “private” photos is Vulavu.com. As far as I know it’s the only site that was specifically designed for posting private photos between two people in a way that they don’t get saved on the receiver’s phone or computer and the Images are private and can NOT be seen by the public. It was designed specifically to stop unintended sharing of photos. It also lets you choose how many times someone can view your photos and you can set the photo invitation to expire. The site gives you good control over your images so you can feel safe. It’s one more option to consider. I originally was going to go for the one mentioned in this article called photobucket, as I’ve been looking around something that can make my images private. As you’ve mentioned Vulavu I’ll also look into that one too. As far as privacy is concerned you can never be too careful! The domain name is up for sale and has no encryption for payments. So wondering how private it still is? Late to the game, but new web app Arcivr has cloud-based storage and private communities for sharing—invite only, like private social network, with comments, downloading original photo, etc. Flickr private guest pass now needs an account subscription. something changed in flickr guest pass feature. Now it is illogical. Infact, if a guest has to subscribe, he will be no more a guest but a registered user. So what is the difference between a guest pass, a people tagging, and a subscription invite? Most of my relatives and friends and customers notified me that they don’t want to subscribe to yahoo/flickr but want to see the pictures. So I have to change to another sharing site, in order to let them about 10thousands full size private photos. Adveture Wildlife Rural India Tours Budget & Luxury Tour Packages. If you have the issue I have described, simply regenerate new guest pass. Good list! Other great image sharing websites include photobucket and 500px, which have been around for a while now and have a large number of registered users. More recently bunchcut.com, released its private beta. It’s a great way to share images in a group or team. Hello,if you are interesting, you can use our aplication for files trading. We are Beta version. Hi, may I recommend https://yetishare.com/, it is a pre-made file hosting script that allows users to create their own file upload service. I have a requirement for sharing photo’s via a link to a website. As the website is fairly open as it is one for old service comrades and part of the reason is to find some that have dropped of the radar in the last 50 + years. So security is not a huge issue - although I do not want photo’s to be deleted or altered in any way. Downlaoding them is also not a problem. The problem is to be able to have an overall album that is the link back to my website and has all the other albums under it sorted by whatever I wish to sort it and available to anyone who accesses the top album. Tried Picasa - rubbish at that, tried a site called Yogile and paid them an annual fee - it worked but they don’t do reminders so they closed the site without telling me and I lost a lot of photo’s that will be hard to re-create. SO which is the best for what I want and is free? Nice info for photo sharing on cloud. For me, i use flickr to share my photos. Definitely will give others a try ! I would really appreciate it if someone could suggest me a site where images cannot be downloaded or saved. Thank you for sharing this information about best sites for sharing photos. Dropbox albums still available w/o membership? Would be nice if someone could enlighten me if Dropbox members can still create photo albums that can be password protected and viewed by non-members. Now and then I get an email by Dropbox via someone who wants to share photos, but all I get is a login screen for members. - Sign in to the Dropbox website and open Photos from the sidebar on the left. 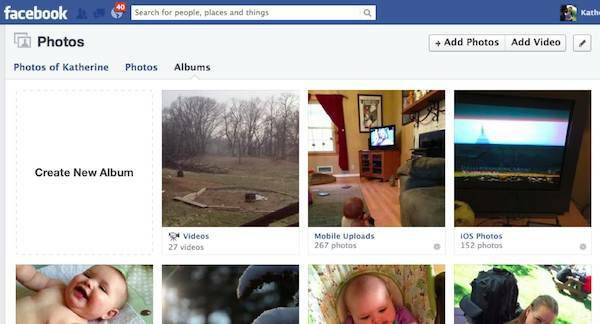 - Click the photos you want to include in an album in the top right corner of the photo. A blue border and checkmark will appear on each selection. - Click Create new album in the pop-up window and enter the album name. You can always add more photos to an album by selecting them on the Photos page, clicking the ellipsis (...) button, and clicking the Add to album… option. http://www.smugmug.com which has beautiful designs and selling options. Best quality host but also the most expensive one. http://www.zenfolio.com - less expensive but it was hard for me to find my way around. I just did not like how zenfolio is organized. http://www.bluemelon.com which is the cheapest option but lacks some features like ordering of prints - allows only sale of downloads. Also designs could be better. There are already lots of apps and websites out there for sharing and storing photos. However, I worry a lot about the privacy and security around my images. I always ask myself, ‘are these websites secure and allowing me to share my photos with family and friends privately?’ Recently, I discovered the www.pixalhub.com app – it lets me share and organize photos privately and securely!